Why is it important to wean dogs off prednisone gradually? When I worked for the vet, I remember that sometimes extra long labels would come out of our printing machine. Some labels were so long that a part of it would print off in another sheet of adhesive paper and I had to work hard to make the two labels meet nicely on the bottle. The only medication this used to happen with was some sort of corticosteroid drug, like prednisone. Why? Because prednisone is a particular drug that has very long instructions. This is because prednisone is mostly given in a "blast" initially and then is tapered off gradually over several days. An example of prednisone instructions would be something like this: give 1/2 tablet twice a day for 5 days, then give 1/2 tablet once a day for 5 days, then give 1/2 tablet every other day until gone." But what exactly is prednisone, and most of all, why does it have such odd instructions? Prednisone is a synthetic corticosteroid drug that is often used to suppress the immune system for the purpose of reducing inflammation, pain, swelling, and itching. It's often prescribed for allergies, inflammation, adrenal gland disorders such as Addison's disease and several autoimmune diseases. 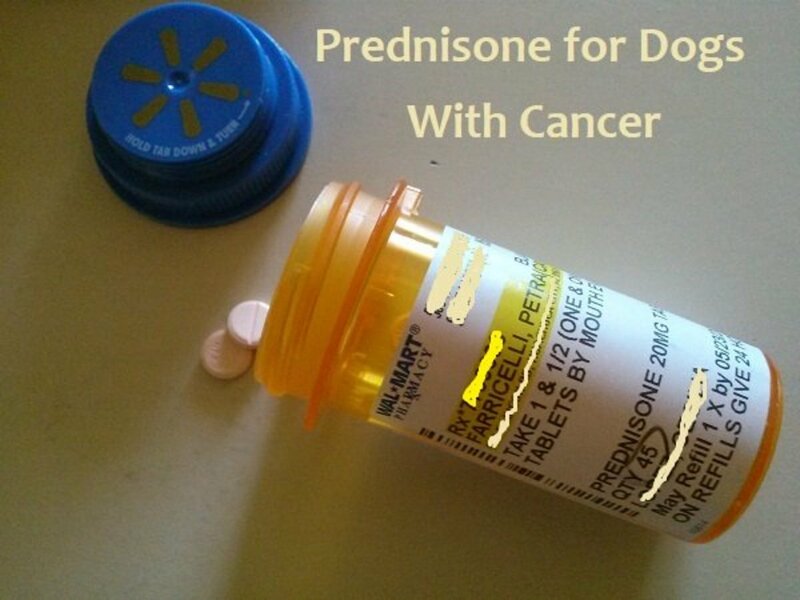 Prednisone for dogs with cancer can also help with appetite. In many ways, prednisone is similar to the corticosteroid hormones cortisol and aldosterone produced by the adrenal glands located along each kidney. Because of this, when taking prednisone, the adrenal glands start decreasing their production of cortisol, explains Dr. April Chang-Miller. It would be too shocking for the adrenal glands to find themselves out of the blue in need of producing cortisol in large amounts again, so by tapering the prednisone gradually, the glands are given some time to resume their normal functionality. Most of all, tapering off will help prevent prednisone withdrawal symptoms, which can be at times scary and even life-threatening. In the next paragraph, we will see some potential problems associated with tapering off your dog's prednisone too quickly. Sometimes, dog owners may feel tempted to stop their dog from taking prednisone either because their dog is feeling better or because of some annoying prednisone side effects. Never do that! Call the vet in this case and ask for directions. This article is to emphasize the importance of acknowledging the risks associated with stopping prednisone abruptly especially when the dog has been on it for quite some time. What are the risks? The main risk is what is called an "Addisonian crisis" or "iatrogenic hypoadrenocorticism" which can be life threatening and can cause the dog to go into shock. The word hypoadrenocorticism can be broken down as such: "hypo" meaning low and "adreno" referring to the adrenal gland and "cortico" relating to cortisol. Addison's disease gets its name from Thomas Addison, who discovered Addison disease in humans. It takes place when the dog's adrenal glands fail to produce enough hormones for normal function. This can happen when the prednisone is stopped out of the blue and the adrenal glands are dormant because they weren't given a chance to gradually become active again. When this happens, the dog's potassium and sodium levels get unbalanced. The sodium levels start to fall, while the potassium levels start to rise. High potassium levels can have a detrimental effect on the heart and can lead to circulatory collapse. Affected dogs may appear weak, lethargic, they may vomit, have a low, irregular heart rate and may go into shock and even collapse. Affected dogs need to seek immediate emergency treatment to correct the electrolyte imbalances and possible low glucose levels through supportive care consisting of fluid therapy and careful monitoring. Rapidly-acting corticosteroid medications such as prednisolone sodium succinate or dexamethasone sodium phosphate may be needed according to the Merk Veterinary Manual. This whole ordeal can be easily prevented by gradually tapering the dog off the steroids. Dogs on prednisone for quite some time, need to be tapered even more gradually. The vet will tell owners how. Prednisone is generally tapered off anywhere between two and five weeks but how it's tapered off varies depending on how long the dog has been on the drug, the condition being treated and how the dog reacts to a lowered dosage, according to Vet Info. When the dog is tapered off, it's important to watch for clinical signs of trouble and report them to the vet immediately. The best way to ultimately prevent prednisone withdrawal symptoms in dogs is to therefore strictly adhere to the label's instructions and ensure that the tapering off instructions are followed exactly to the letter. Disclaimer: this article contains the results of my research and should not to be used as a substitute for professional veterinary advice. If your dog is on steroids, follow your vet's advice on proper tapering off. If you suspect signs of prednisone withdrawal, see your vet immediately as this can be a life-threatening emergency. If you have any doubts, consult with your vet. If my dog has been taking 5 mg daily of Prednisone for 14 days, can I stop it abruptly? It is my understanding that there are no general rules of what constitutes a "low enough" dose for a "short enough" time to stop prednisone cold turkey. It is best to err on the side of caution when in doubt. It's worth a call to the vet who prescribed it and ask what to do especially if there weren't clear directions printed on the bottle. What to do next also depends on what condition is being treated. If you are thinking of stopping the medication due to side effects, your vet may feel it's important to keep your dog on this drug because the benefits outweigh the side effects. However, for some severe types of side effects, the vet may feel it's important to stop cold turkey to prevent further damage (e.g., dog vomiting copious amounts of blood from stomach ulcers). How long does it take to wean a dog off of prednisone? Weaning a dog off of prednisone is a very delicate procedure. Only your vet can really provide this information. 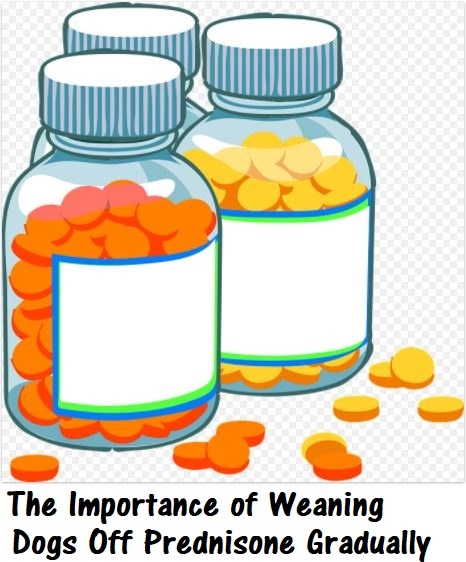 Usually instructions are provided on the bottle (they are very long instructions on a bottle usually for short-term uses), but if your vet has instructed you for a faster weaning protocol due to the awful side effects, then you need to follow those carefully. Please give your vet a call to clarify. Restlessness, panting, increased drinking and increased urination, increased appetite, are common side effects of prednisone. 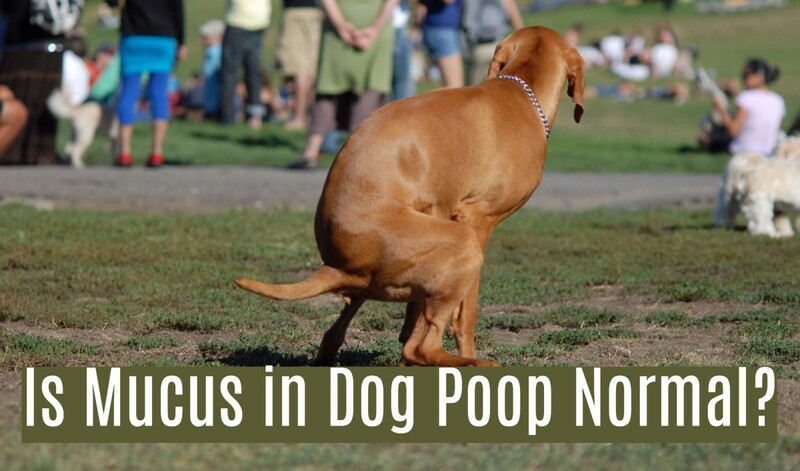 Could diarrhea or soft stool be a sign of tapering your dog off prednisone too quickly? This is difficult to answer and you should really voice your concerns with your vet. 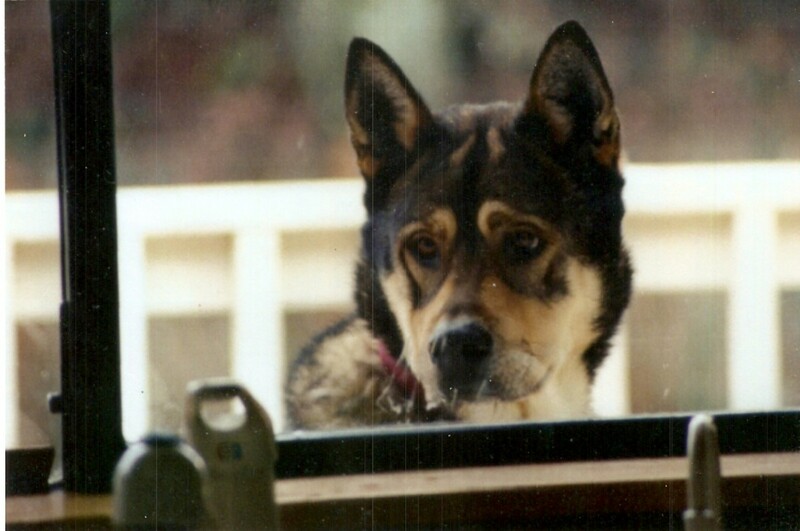 Weaning a dog too fast off steroids may cause what's known as an Addisonian crisis. The symptoms of this though are quite vague, including lethargy, loss of appetite, intermittent vomiting, and diarrhea, shaking, increased drinking and increased urination and episodes of weakness. As you can deduce, there may be several disorders causing these symptoms. Please consult with your vet. Can prednisone cause skin conditions due to long term use? Prednisone can cause several skin conditions due to its immunosuppressive properties. Here is just a general list. Because steroids such as prednisone lower the immune system's defences, it is possible for opportunistic bacterial or fungal skin infections to set. You may see a thin hair coat, blackheads and thin skin in some cases. Possibly though, the skin condition you are referring to is though is calcinosis cutis which causes the development of hard plaques on the skin which are due to the deposit of calcium crystals on the skin. My Dog Has Hypoadrenocorticism: What Do I Do Now? 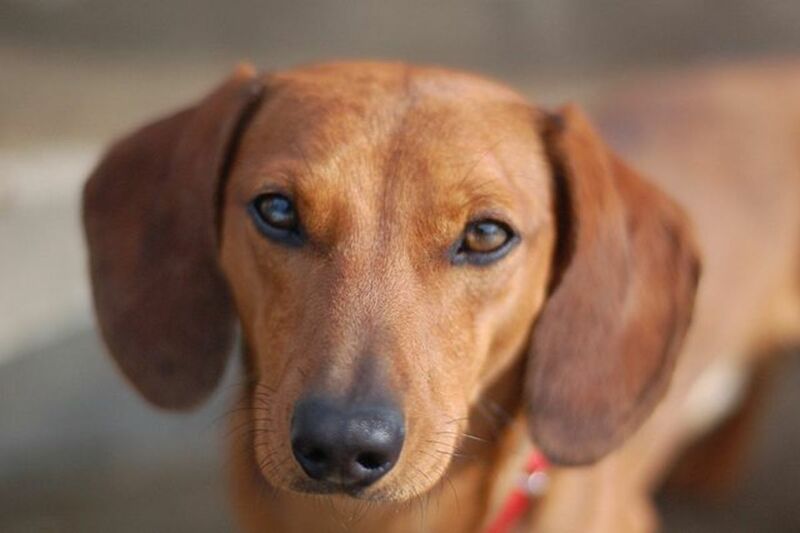 Is Stress Causing Your Dog's Cushing’s Disease? My dog suffered some sort of paralyzing trauma 12-14-18. Cscan showed no spinal injury, yet he was unable to use legs. Prescribed Prednisone. 01-01-19 he just got up and walked and has been improving in balance ever since. 01-14-19 was his last second day wean off Prednisone tablet. Since then his water consumption has increased=frequency of urination=and once daily elimination (great quality/firm) has increased to 3. Alert, active, involved, doesn't appear to be in pain walks now 1/2 to mile daily struggles with balance. Trots gracefully and runs normal. Appetite good. Picky, but good. No sign of pain. Why the increase of thirst? Urination and bowel movement? Is it Prednisone related? You may have several options that you may want to discuss with your vet as he/she is the expert here and has access to your dog's medical history. I am not a vet but worked initially as a receptionist and then as a vet assistant, so please don't take these as recommendations. They are just some ideas you may want to discuss with your vet that come to mind. 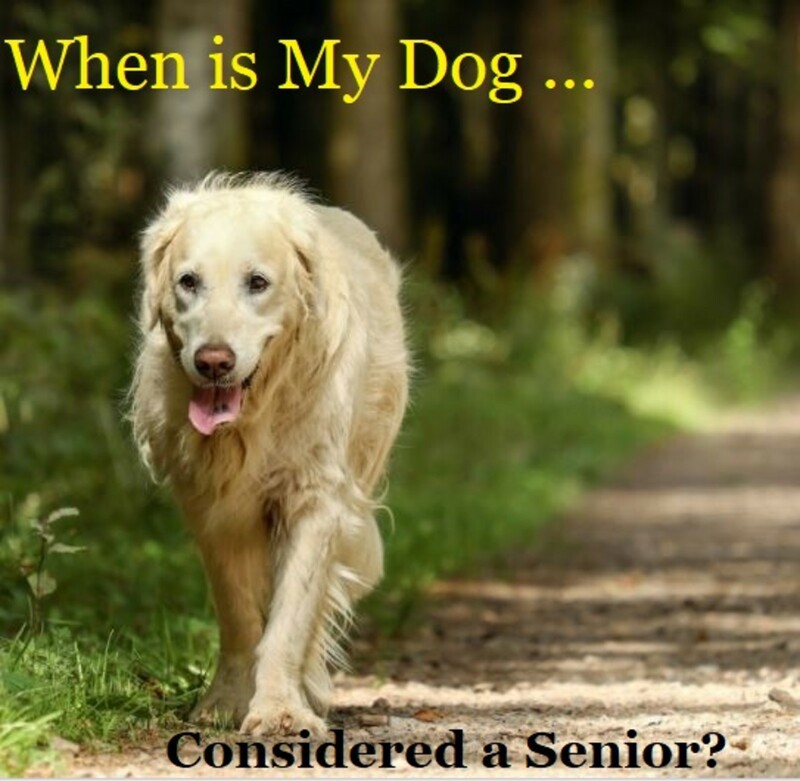 1) If prednisone is what is needed to keep your comfortable long-term, then it may worthy keeping him on it, especially if he is an elderly dog with a chronic condition. Tell your vet the problems you are encountering and ask your vet whether you can keep him on it and perhaps give pepcid to prevent stomach issues. Perhaps you can keep him on the lowest dose necessary to keep him comfortable. I do not know what condition your dog has or whether he is having complications so not sure whether this is a feasible option. 2) Another option is keeping him on a lower dose of steroids while using another drug for pain that can be used along such as Gabapentin and/or tramadol. Perhaps, your vet may suggest then trying weaning him off the steroids more gradually again once these meds start working. 3) Finally, you can try waiting 48 hours (or more as suggested by your vet) after finishing the prednisone to start another drug such as NSAID drug such as carprofen or metacam. The 48 hours is needed as a washout period to prevent complications.However, the negative aspect of this is that it may take time for these new drugs to reach their therapeutic level. Consult with your vet on resuming the steroids as there may be special directions to follow. My dog has been on prednisone for almost four months. He does fine tapering until he gets to the point of skipping a day and then goes down in full blown pain, but does well up until that point. As soon as you give him the half again then he goes back to be okay. At my wits end on getting him off without pain coming back. Any ideas? Kathleen, so sorry you are going through this, perhaps it may help consulting with an internal medicine specialist? This sounds complicated. My 1 year old Boxer is currently on Prenisone, due to Immune system from Lyme Disease , we have tried tapering her off it down to a Quarter piece an then down to a quarter piece every other Day , once she gets down to the quarter piece , to skip a few days so she can get Spayed , she get sick, its like we can't get ear off it without her getting really sick, I am unable to get. Her Spayed no way , what Ian th eproblem here , how can I get her Spayed if we can't get her off the Prednisone .??? Please I need some really good Advice .!!! Now , they also put her on Atopica to help taper her off the prednisone so she could have the spay , but as soon as we tried getting her down from th eprednisone she gets ill .?? Pulling my hairs out , Vet won't spay her unless she has been off the prednisone but if I can't get her off it , then what do I do, There has got to be a way ..!!!!!! Thanks Eiddwen and Tillsontitan, yes, it looks like the longer the dog has been on it, the more carefully it should be tapered off, thanks for the votes up! Certainly a useful warning. My dog was on prednisone for a year so tapering off was very important. I didn't know about Addison's Disease as a result so I am very glad I followed instructions. I know others will find this useful. Very interesting and useful for sure alexadry. Epbooks, thanks for stopping by. Following label instructions is very important and it's unfortunate some owners fail to follow them. I remember one day at the vet a lady called and asked if she could use the dog's left over antibiotics from last time the dog was sick for a possible UTI, which was an alarming statement, because it meant last time she didn't give all the antibiotics till gone! Wonderful and informative hub. My dogs have all been on prednisone for one reason or another at separate times and though I never knew the side effects, I've always adhered to the advice and I saw the importance of it when my vet told me never to just take them off of it on a whim. Educational. Thanks for sharing! It's amazing the number of dog owners who give it without tapering off, I was inspired to write this because I just saw a post on a website by an owner that gave it and then stopped and was asking why his dog was not feeling well. A simple search revealed many others dog owners doing the same. This is an important hub, alexadry. 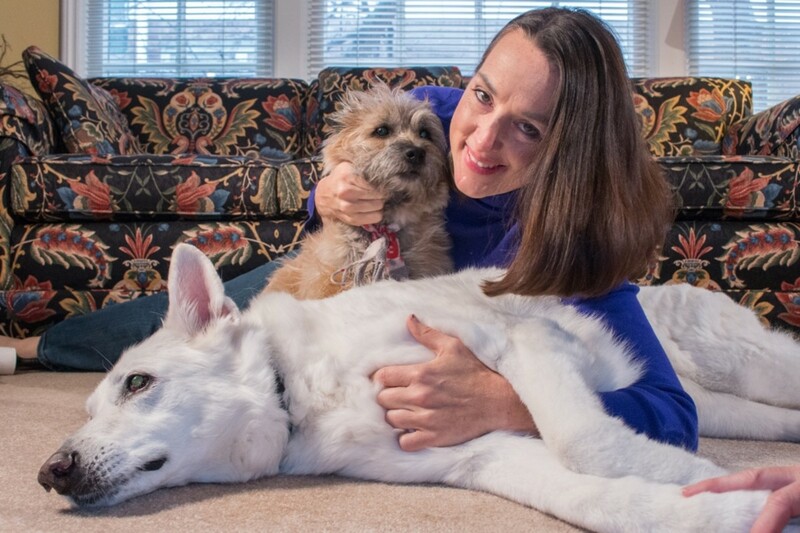 I have had two dogs that have been prescribed prednisone, so this article is very useful and interesting for me. In each case the prednisone helped my pet, but your warning about withdrawing the prednisone treatment gradually is vital .